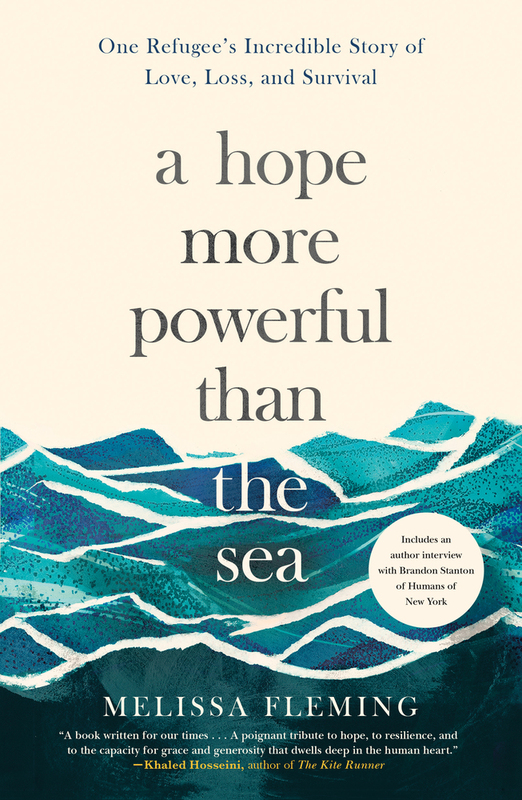 Adrift in a frigid sea, no land in sight—just debris from the ship's wreckage and floating corpses all around—nineteen-year-old Doaa Al Zamel floats with a small inflatable water ring around her waist and clutches two children, barely toddlers, to her body. The children had been thrust into Doaa's arms by their drowning relatives, all refugees who boarded a dangerously overcrowded ship bound for Sweden and a new life. For days, Doaa floats, prays, and sings to the babies in her arms. She must stay alive for these children. She must not lose hope. Doaa Al Zamel was once an average Syrian girl growing up in a crowded house in a bustling city near the Jordanian border. But in 2011, her life was upended. Inspired by the events of the Arab Spring, Syrians began to stand up against their own oppressive regime. When the army was sent to take control of Doaa's hometown, strict curfews, power outages, water shortages, air raids, and violence disrupted everyday life. After Doaa's father's barbershop was destroyed and rumors of women being abducted spread through the community, her family decided to leave Syria for Egypt, where they hoped to stay in peace until they could return home. Only months after their arrival, the Egyptian government was overthrown and the environment turned hostile for refugees. In the midst of this chaos, Doaa falls in love with a young opposition fighter who proposes marriage and convinces her to flee to the promise of safety and a better future in Europe. Terrified and unable to swim, Doaa and her young fiance hand their life savings to smugglers and board a dilapidated fishing vessel with five hundred other refugees, including a hundred children. After four horrifying days at sea, another ship, filled with angry men shouting insults, rams into Doaa's boat, sinking it and leaving the passengers to drown. MELISSA FLEMING is chief spokesperson for the United Nations High Commissioner for Refugees (UNHCR). She travels to war zones and refugee camps to give voice to the millions of people forcibly displaced from their homes. She is frequently quoted in international media, including The New York Times, The Washington Post, CNN, and NPR. Her talks are featured on TED.com. She first told Doaa's story on the TED stage, which went on to be viewed over a million times.